Have you heard? The Painted Chest has moved! That's right, The Painted Chest has MOVED to a NEW location!! We are now located inside The Turquoise Door at 220 West Main Street, in Ava, Illinois. We are so pleased to a part of Kasey's wonderful store. 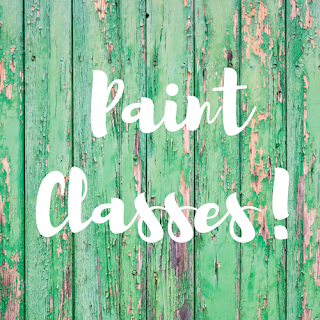 We will have available, our hand painted vintage and antique furniture, Miss Mustard Seed's Milk Paint, and farmhouse style home decor. We also have the old formula of DIY Paint on clearance. It's almost gone so get it while you can. Besides our great items, The Turquoise Door also features many handmade and upcycled items from local artisans. Those items include home decor, garden art, jewelry, children's boutique clothing, and all natural soaps and lotions. Make a day of shopping in Ava and have a great lunch while you are there! Visit The Brick Wall Boutique for ladies clothing and have lunch at Brunzeez Cafe or sit out on the patio at Gabby's for lunch and drinks. I hope to see you in the shop soon! !